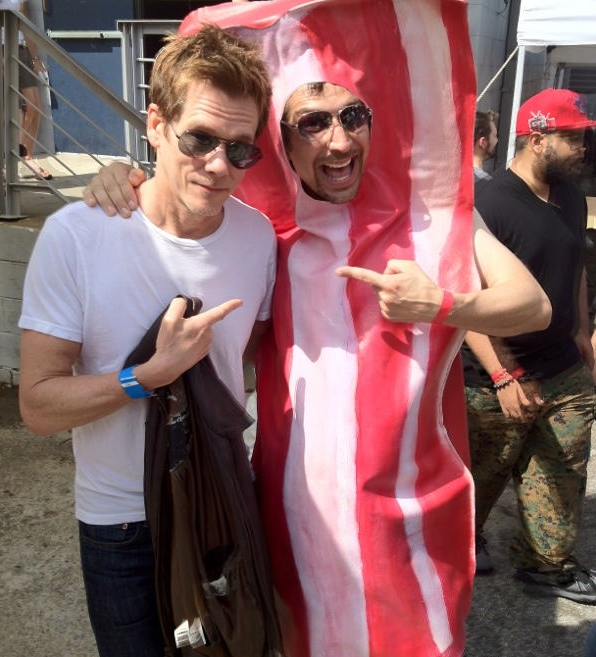 Last year, Kevin Bacon showed up. Who knows what this year's Atlanta Baconfest will have it store?! Go find out on Saturday, March 29, at the Masquerade. All in support of Dad's Garage Theater, the fest has some great bacon-related stuff happening all day long. To start, they're cooking 2250 pounds of the good stuff, and they're, um, "pairing" it with PBR. Not bad. Carnival games, bands, bacon art, and a silent auction fill out the day. 21 and over, and no dogs we're afraid. Gates open at 1, and they go till 6p. Notes: Three levels of tickets. Online they are $25 for parking plus 5 game tickets, 3 beers or 3 cups of bacon. $45 for unlimited games, beer, and bacon, and a whole hog VIP treatment for $85 to get access to the gourmet BBQ, specialty beer, and T-Shirt. At the door, add $10 for all levels.